Congratulations on restoring your smile with the help of dentures! Your brand-new makeover will assist you to regain your self-confidence and although it drastically improves the way you look, you might require some time to become entirely familiar with the idea. Let’s begin with speaking about the denture maintenance systems you will have to manage with your new dentures. Any denture must be brushed with a specialized clean-up apparatus which includes more supple bristles compared to normal electric toothbrush. It’s necessary to get rid of virtually any grime and also plaque around the dentures. The actual denture products can be a mild dentifrice that is used to clean the particular denture. Typical products could cause rough patches to show up over time. Most dentists will certainly recommend their patients to stop employing typical tooth paste or family products to avoid erosion. You can use an oral swab to clean the gingival area. Keep your dentures inside water when not in use in order to avoid shrinkage. Denture adhesive is a vital purchase. While you might end up being enthusiastic about nibbling on your favourite meals yet again, you will want to begin with meal varieties which might be very easy to chew up. Start with beverages such as juice or water then work your way to be able to get to the sauces or natural yogurts. You can even eat scrambled eggs for dinner. When you begin to eat solids, trim your meals into smaller pieces. After some time, you’re going to get used to a new dentures. 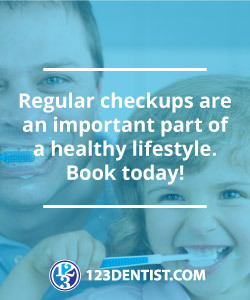 Make certain you visit your dentist often and report any issues with fit. Remember that we are here to help you!